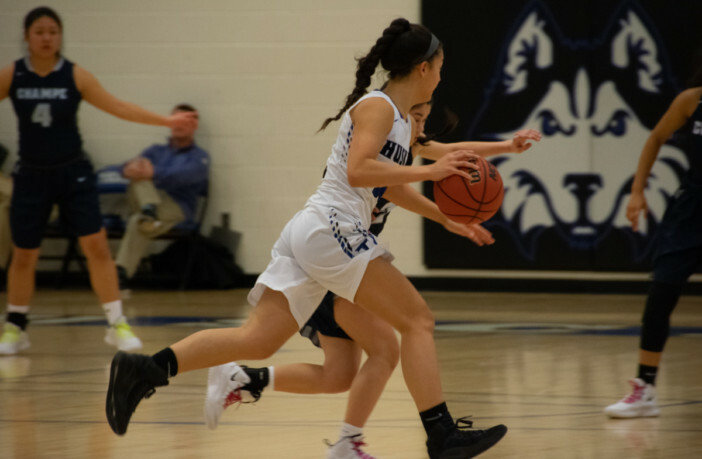 Leesburg, Va. — When the Tuscarora High School girls basketball team hosted John Champe on January 25, the Knights struggled to get going offensively, and the Huskies cruised to a 66-22 win. However, when the two teams met for a Potomac District quarterfinal on February 11, John Champe was a different team, and Tuscarora was coming off a 48-44 loss to Potomac Falls. Even with major offensive struggles in the first half, Tuscarora pulled away in the second half to defeat John Champe, 65-34, to advance to a Potomac District semifinal. Tuscarora started the game looking like they were ready to play, going up 8-0 early. The Huskies continued to dominate offensively throughout the first quarter, taking a 12-5 lead, thanks in part to junior forward Ava-Grace Carll. The second quarter, however, was rough for Tuscarora, and John Champe took advantage of it. To put it simply, the Huskies played sloppy and started to turn the ball over. In the second quarter, the Knights held Tuscarora junior guard Isabellah Middleton scoreless, while senior guard Rosi Santos scored just two points. John Champe senior guard Anvitha Anumolu scored 8 points alone in the second quarter, and the entire Knights team took advantage of the sloppy play by Tuscarora. Tuscarora looked to come into the second half with a renewed energy, but John Champe wouldn’t go away. About halfway through the third quarter, the Knights had cut the lead to 31-27. Things changed in favor of the Huskies in the second half when Middleton started to take control. Tuscarora’s most recent 1,000-point scorer, Middleton settled down midway through the third quarter and started producing offensively. 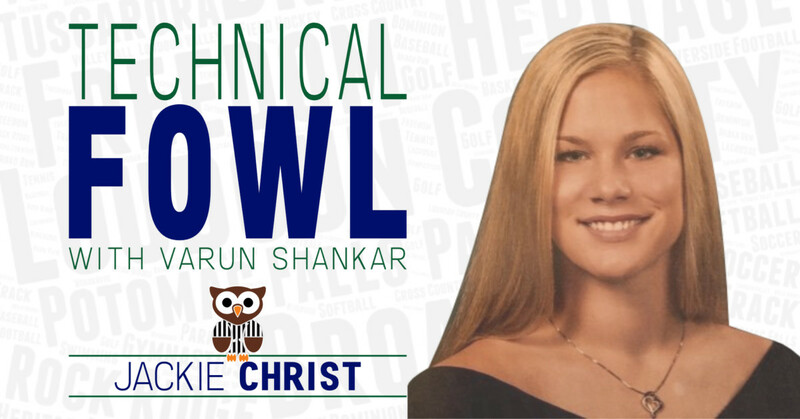 “Just being more locked in to our game plan from the beginning was key,” Newkirk said. The Huskies took complete control in the fourth, holding the Knights to just one point in the entire quarter. Middleton rounded out her 15th double-double of the season with her monsterous second half, to help push the Huskies past the Knights, 65-34. With the win, No. 2 Tuscarora moves on to host No. 3 Potomac Falls in a Potomac District semifinal on February 13.